“The holidays are filled with parties and gatherings, which can offer heavy (and often unhealthy) foods. There are lots of cheese platters, puffed pastry dishes, sweets (sooo many sweets!!! ), and bread galore. Not that there’s anything wrong with those delights in moderation, but it’s nice to offer an alternative. 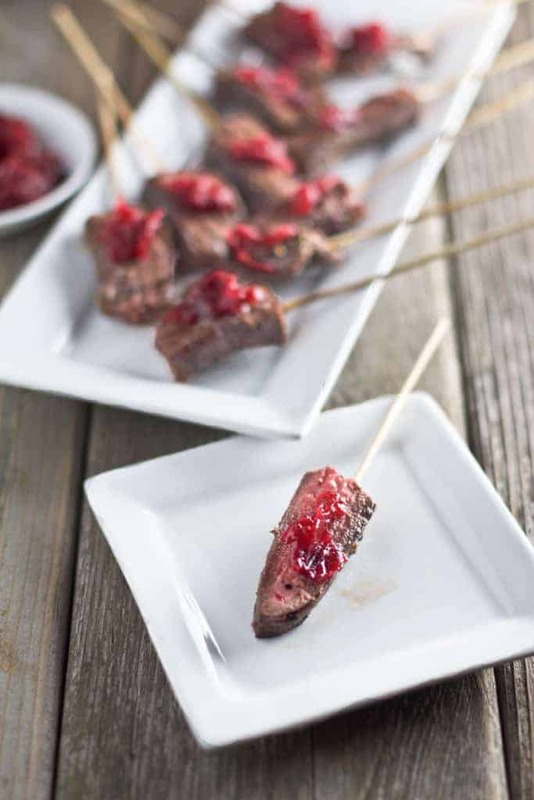 This marinated steak appetizer is filled with protein and flavor without being heavy on carbs, sugar, or fillings.” — from my recipe for Wine Marinated Steak Skewers with Cranberry Bourbon Sauce, published on Wine4.Me. Now that Christmas parties are behind us, and folks are starting to focus on the coming new year, resolutions (often involving diet and health), feeling good, we have an awesome appetizer for you that you don’t need to fill guilty about. These bad boys are loaded with savory flavors, a touch of holiday sweetness, a small bit of spice, a good dose of protein, and won’t weigh you down. Hosting a New Year’s Eve party this week and looking for a simple, light, savory, appetizer packed with flavor? 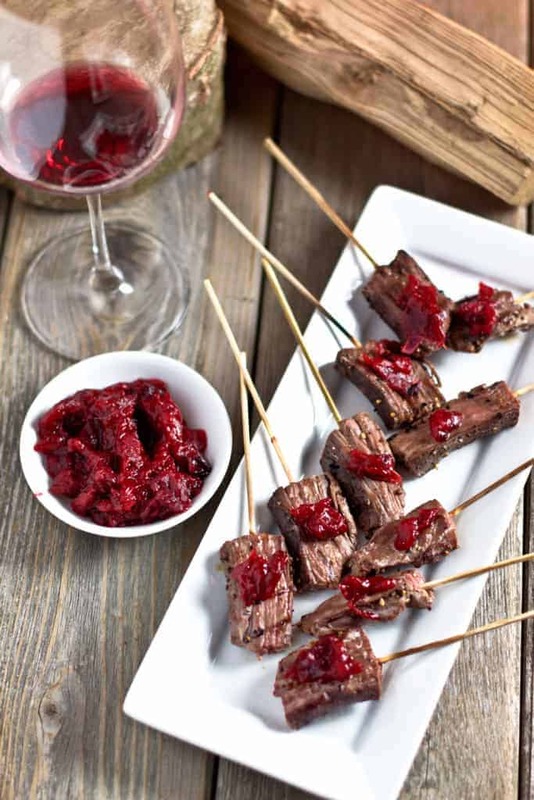 Find my recipe for Wine Marinated Steak Skewers with Cranberry Bourbon Sauce over on Wine4.Me along with wine recommendations HERE.